We are very happy to announce the release of a new open textbook, with significant contributions from post-secondary faculty in British Columbia. 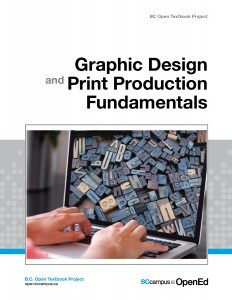 Graphic Design and Print Production Fundamentals is written by a group of select experts with a focus on different aspects of the design process, from creation to production.Traditionally referred to as graphic design, communication design is the process by which messages and images are used to convey information to a targeted audience. 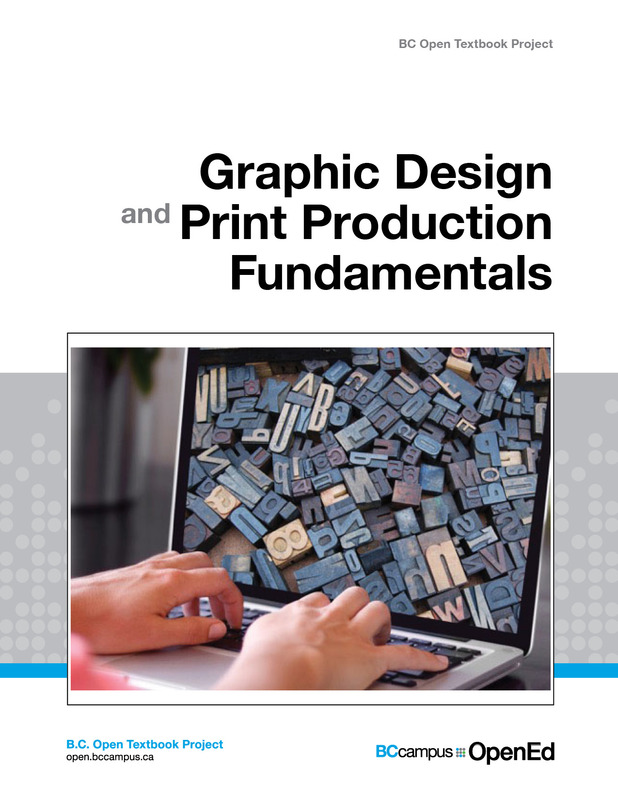 It is within this spectrum that this textbook addresses the many steps of creating and then producing physical, printed, or other imaged products that people interact with on a daily basis. Design itself is only the first step. It is important when conceiving of a new design that the entire workflow through to production is taken into consideration. And while most modern graphic design is created on computers, using design software such as the Adobe suite of products, the ideas and concepts don’t stay on the computer. To create in-store signage, for instance, the ideas need to be completed in the computer software, then progress to an imaging (traditionally referred to as printing) process. This is a very wide-reaching and varied group of disciplines. Each chapter begins with a list of Learning Objectives, and concludes with Exercises and a list of Suggested Readings on the Summary page. Throughout, key terms are noted in bold and listed again in a Glossary at the end of the book. Authors: Graphic Communications Open Textbook Collective (Wayne Collins, Alex Hass, Ken Jeffery, Alan Martin, Roberto Medeiros, Steve Tomljanovic ) and is released under a Creative Commons Attribution 4.0 International License also known as a CC-BY license. This book is now available in the BC Open Textbook collection. As part of the release of these new textbooks, BCcampus is looking for qualified textbook reviewers from British Columbia, Alberta, Saskatchewan and the Yukon to review existing open textbooks in the BC Open Textbook collection. If you would like to review either of these books, please contact us. We provide a $250 stipend for faculty who review a BC open textbook. If you decide to adopt this or another open textbook (from any collection) for your course, please let us know by filling out the Adoption of an Open Textbook form.